The holiday season presents many fun opportunities to spend with friends and family. It is also one of the hardest times of the year for people to lose weight. 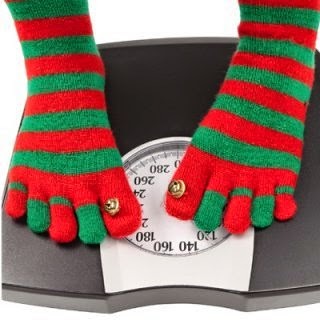 Some venture out to lose the holiday weight they've gained after the fact while others battle to stay on their weight loss path despite the holidays. The holidays are particularly difficult to lose weight for three reasons: 1) food is abundant everywhere people go; 2) people are expected and persuaded to eat everywhere they go by family, friends and coworkers; and 3) the food served during the holidays is irresistible. However, there are some things a person can do to help ensure success on their weight loss journey through the holidays. Because food is so prevalent, it’s a good idea to keep baggies of nutritious snacks and continually fill up on these foods. This helps people to avoid getting too hungry. In the face of temptation, hunger can cause people to eat things they normally wouldn't. By filling up on fruit, veggies or lean protein, people can avoid the sugary and fatty foods much easier. Getting help is a good idea too. There are groups of doctors to contact who are available to help with weight loss. They can help people stay motivated on their weight loss journey by giving solid facts, explanations of why people hit plateaus and other useful information that helps to provide clarity. Stay motivated this season by staying prepared.